Today we have a Hackberry Hollow first! For this week’s post we have an animated fly-through (video after the jump). Why? Because screenshots just wouldn’t do it justice, so we figured why not? So far we’ve only shown ghosts once on the blog. From the very beginning we’ve been thinking that the ghosts would appear green, but this past Friday while Adam and I were writing the part of the script where the ghosts are introduced, we decided to make them red (more on this later). 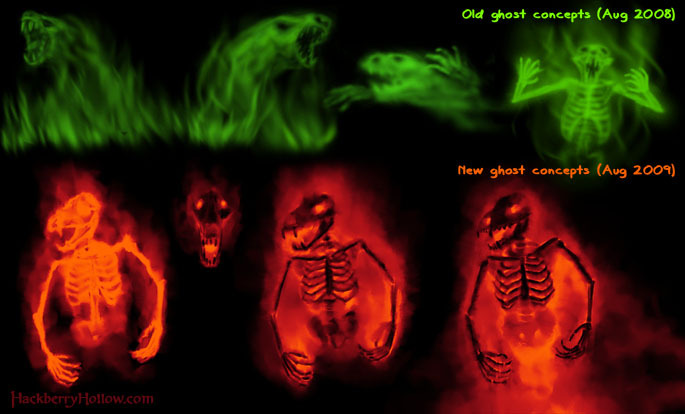 So here’s the new ghost design as well as the old ghost designs for comparison. 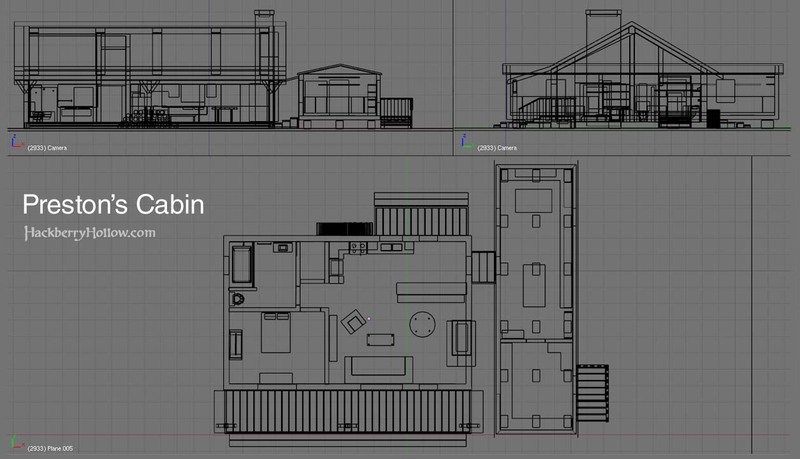 I found it interesting that it has been almost exactly a year since our first ghost designs were created, and we just barely got around to revisiting them—just to give you some idea about how long we’ve been developing Hackberry Hollow. The bottom right design is the one we liked, and further down in the post we got the full-sized version of that ghost for you to look at. Now that we are doing more concept art that includes the pirate ship, Shane and I have been spending some time figuring out the color design for the pirate ship. 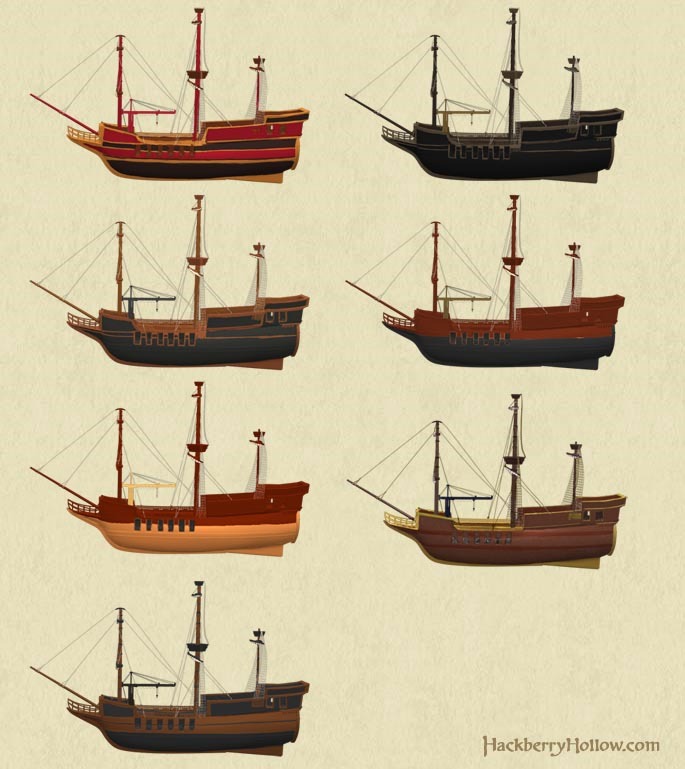 This pirate ship has two color schemes: a Before and After. The Before paint job will have bright colors that will make the pirate ship look like it belongs in a theme park (the top left is a good example). 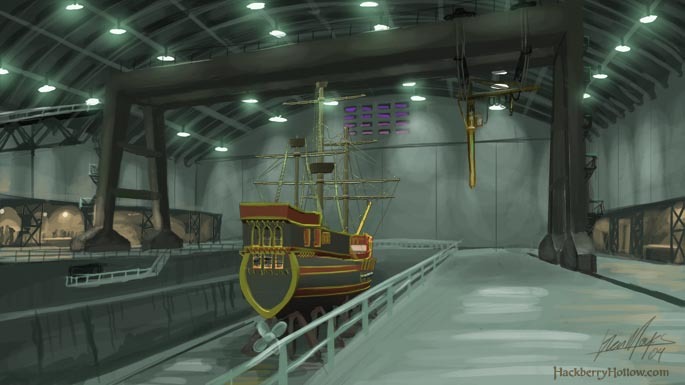 The After paint job is supposed to make the pirate ship look awesome, and is what you’ll see for the rest of the comic after the first chapter. Here’s some designs that Shane and I came up with. This week we are showing yet another location shown in the first chapter. This scene of a covered dry dock takes place right after the events near the port town that we showed in last week’s color studies.